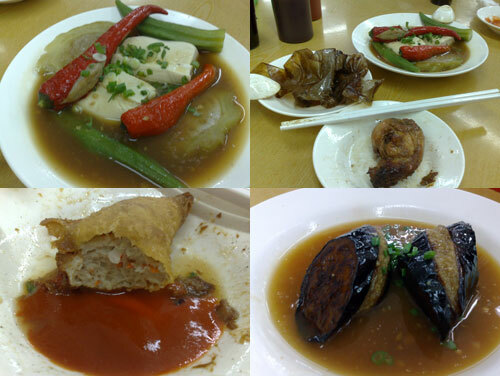 One of the local delights that I enjoy eating over and over again is Yong Tau Foo, especially when looking for a fast and no frill meal with very little waiting time. I have traveled to quite a few places to sample the few famous outlets around Ampang and Segambut for this dish, but they remain a bit too far to go on a regular basis. 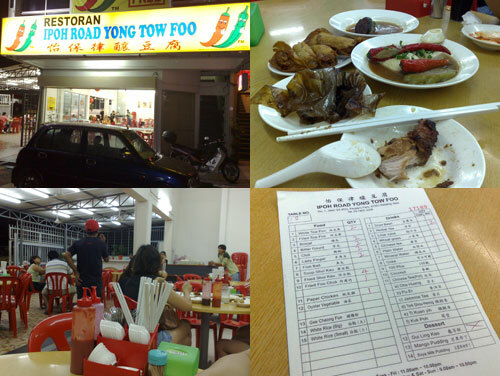 I was delighted that the Ipoh Road Yong Tau Foo opened a branch at Kelana Jaya, very close to where I stay. Unlike the main branch at Jalan Ipoh, this place does not stress you so much on the parking situation. The restaurant, while not air conditioned, is pretty clean and comfortable. Crowd level was still quite small when I went on a weekday evening as I guess it has not been discovered by many casual diners yet. I ordered my usual favorites, including chili, bitter gourd, okra, tofu, fried dumpling, and one of their unique offerings, the paper wrapped chicken. Unsurprisingly, this branch lives up to the reputation of the original Jalan Ipoh main branch when it comes to taste. The ingredients are fresh and the fish paste stuffings firm and flavorful. Looking at their smallish kitchen, I am guessing that all the yong tau foo is probably prepared at the main branch and transported here daily. operating time and prices are all here! 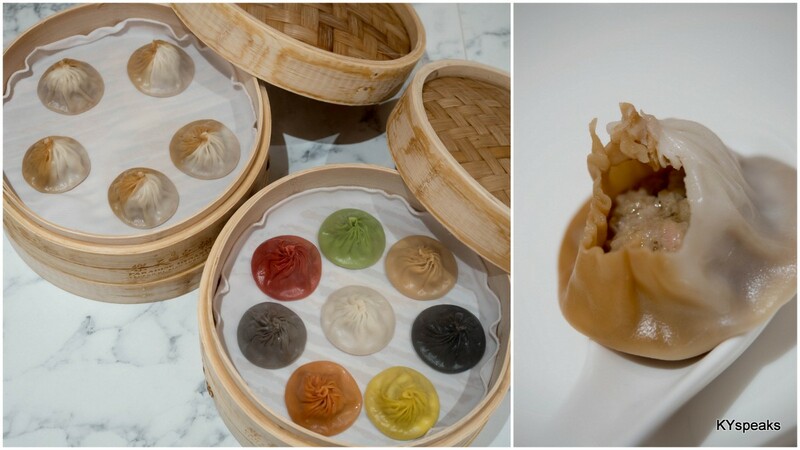 Similar with many dim sum places, ordering is a simple affair of jotting down the number of pieces you want for each item and pass it to the waiter. Prices and opening hours are conveniently displayed on the wall, and of course, conveniently displayed here for you! I prefer Ampang’s or the Hakka’s style, which have pork inside. My colleague went to the branch in Dataran Sunway twice, and twice she ended up with diarrhea. 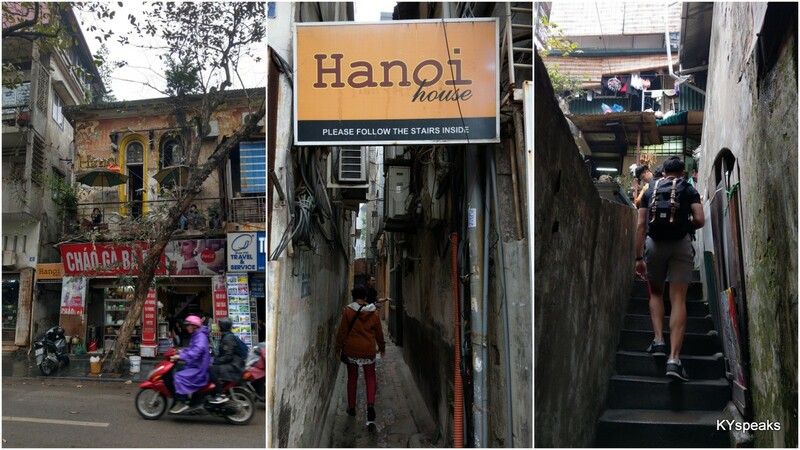 Yah, just a few shops down the same road. I can see that you are a pork lover. Yummy, I like yong tau fu too! 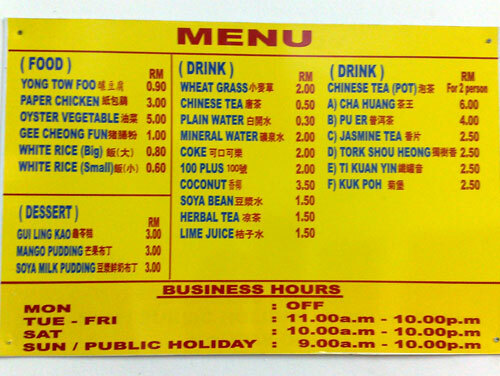 hmm..yong tau foo…not really my cuppa tea…but I still prefer the stall in Restoran O&S. The fu chuk and deep fried sui kow were very good. Yeah that one is pretty good too. 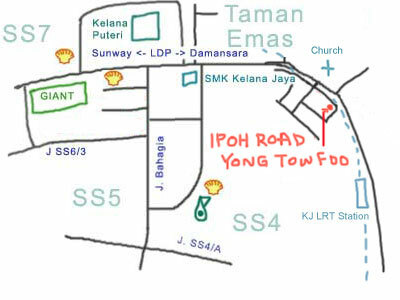 I stay near Jln Ipoh, yet I go to Ampang and Puchong for Yong Tao Fu. Someone kill me. hey ky, thanks for comment on my blog. i hope that you can join that blog so your food review will be more detailed and managed. by the way, i’m not the owner of the website nor i profiting anything when promoting their site. i just think this is a good site and might be a right site for all your food review. thanks! No Yong Tau Foo at Melbourne. I live in Jalan Ipoh and I’ve been eating their yoong tau fu since i was 3 feet tall. Practically see their small shack business turn into a franchise. Never the less, good food is served! I love their brinjal and the fried dumpling the most. Just oozes my desire to order more. Great pick for a yoong tau fu restaurant. This place is very near my house too. Went there when I went back over CNY,must say was not too impressed. Thought the one in Jalan Ipoh was better. mmm i saw it few times but never wondered if this is the real branch. 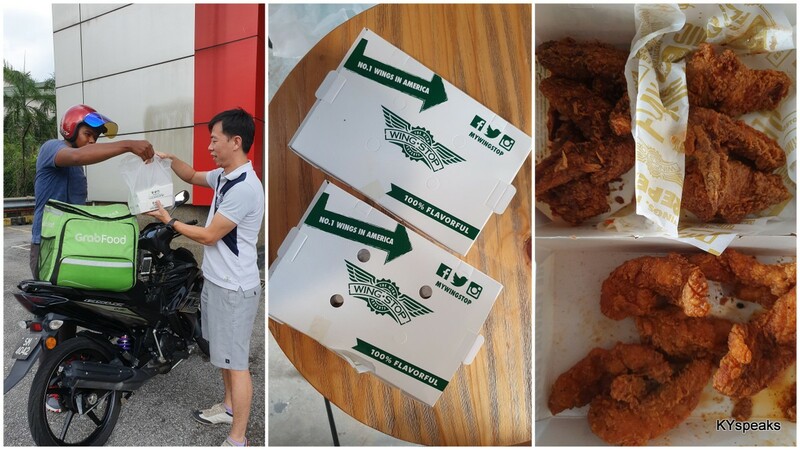 is the food as good as the jln ipoh’s? I thought they tastes pretty much the same. Not to mention that parking situation is much better here. I have tried the Ipoh Road Hakka Yong Tau Fu in Kelana Jaya, but i still prefer the Ipoh Road Hakka Yong Tau Fu in KLANG BRANCH because their ROYAL HERBAL CHICKEN is very delicous. And their Yong Tau Fu is very fresh and delicious too. Must try KLANG BRANCH. Lucky i still have their bill with me, enclosed herewith the address : No. 53 & 55, Lorong Batu Nilam 4, Bandar Bukit Tinggi, 41200 Klang.Tel No. 019-3281216. Is really delicious, to be honest. i usually eat in mv or giant kinrara..
i want to go to somewhere else..
do you know where are halal yong tau foo? Ahh, I see, I’m not familiar with halal yong tau foo places, but maybe there’s one at Ampang Point if I remember correctly.